You have added Floral Embroidered Sharara/Palazzo Suit In Powder Blue Net to your Shopping Bag! 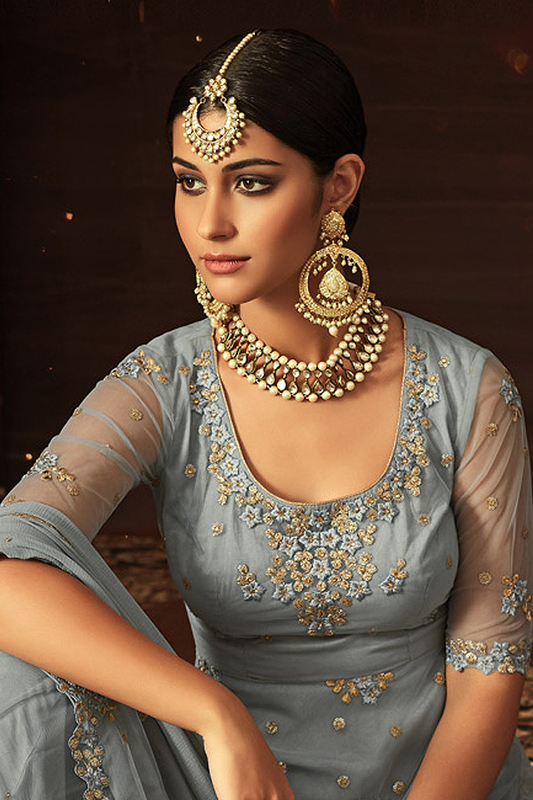 Nail the traditional look in this powder blue sharara/palazzo suit! The net kurti is adorned with floral zari and thread embroidery with stone work. It is teamed with matching net sharara/palazzo featuring golden lace bordered hem with sequins and mirror work. The look gets complete with a chiffon dupatta with sleek golden lace border and stone work. Get ready for any special occasion by accessorising your look with traditional necklace, earrings and maang tika.